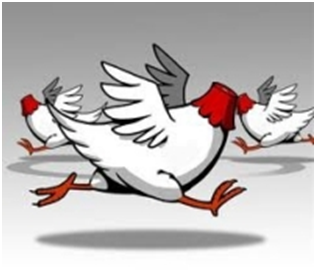 The headless chooks of the Christchurch City Council (specifically the eight Councillors, including the Mayor) have allowed themselves to be stampeded by debt hysteria and an ideologically-driven Government into a panic stricken headlong rush to flog off $750 million worth of public assets. The excuse given for asset sales is that they are necessary to pay for the city’s rebuild, and specifically for the white elephant anchor projects foisted by the Government on the people of Christchurch, under the onerous Cost Sharing Agreement signed between the Government and the previous Council (which was thrown out by disgusted Christchurch voters in 2013). The whitest and most elephantine of these white elephants is the proposed covered rugby stadium, to which the Council is committed to paying $253 million. The justification for this is that it will guarantee Christchurch getting into the big boys’ club of international rugby venues. For that we have the word of the most impeccable authority – the NZ Rugby Union, which is continuing its long and dishonourable tradition of treating rugby fans and the wider public with contempt. It has just announced the itinerary for the 2017 Lions tour of NZ. And for the first time in more a century the Lions won’t play the All Blacks in a test anywhere in the South Island. The Rugby Union says that Christchurch’s current “temporary” rugby stadium couldn’t handle a game of that magnitude. Predictably that led to handwringing from the Canterbury Rugby Union saying this shows that we need the new covered stadium ASAP. The NZ Rugby Union has not just vetoed any Lions test in Christchurch but also in Dunedin. Huh? Dunedin has the country’s only covered rugby stadium, completed as recently as 2011, at ruinous cost to its ratepayers and amidst great public controversy. Furthermore, Dunedin is a fully functioning city, unaffected by any earthquake or similar natural disaster (not to mention the home of the current Super Rugby champions). But, no, the NZ Rugby Union says that the Forsyth Barr stadium is neither here nor there, the problem is that Dunedin itself is not up to handling an event of such magnitude. So, two Lions tests have been awarded to Auckland and one to Wellington. Press sports writer Tony Smith says it best: “(The Rugby Union’s) rationale is proof, if ever it was needed, that All Blacks rugby is a brand, first and foremost and a sport, with all its rich traditions second. How long before Eden Park becomes NZ Rugby’s national stadium? How long until someone in a shiny suit points out ‘the England rugby team never plays outside Twickenham, so get used to the All Blacks playing all their big games in Auckland’?...Remember the movie adage: ‘If you build it, they will come’? Well, NZ Rugby has changed the script. ‘Not if you build it in Dunedin’. Dunedin’sbeleaguered ratepayers have paid for the best sports stadium in New Zealand. There’s an inherent responsibility for rugby to play its part in helping Dunedin to recoup the cost of its investment”. The Christchurch City Council needs to learn from Dunedin’s predicament before it’s too late, pull the plug on this particular white elephant, and save the ratepayers of Christchurch a cool quarter of a billion dollars. The message couldn’t be clearer from the NZ Rugby Union – “sorry, South Island, it doesn’t matter how many covered stadiums you build at your own expense, you suffer from a terminal case of ‘not Auckland syndrome’”. 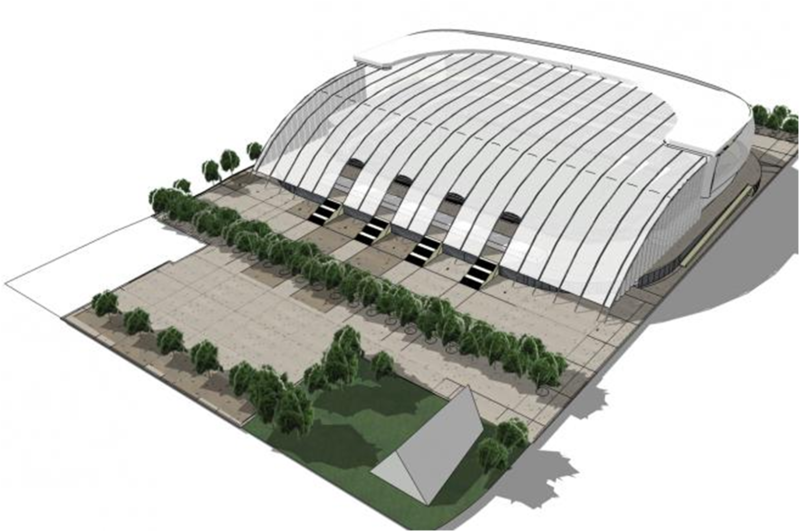 The Rugby Union is a big business; let it pay for a covered stadium in Christchurch if it’s so keen on the idea. The city has got a perfectly good temporary stadium in Addington and the possibility of repairing the quake damaged Lancaster Park, the city’s famous rugby ground, which is already owned by the Council. The City Council should see this as the perfect opportunity to renegotiate that increasingly ridiculous Cost Sharing Agreement with the Government. And scrap the asset sales that are looking more unnecessary with every passing day.